As one might guess, the weheartya gals tend to share books. So we often end up reading the same titles and, of course, discussing them. While we sometimes ooh and ahh over the same novels and authors (hello, Laini Taylor and Melina Marchetta), there are still plenty of times that we disagree. So it makes us wonder… what is that magic ingredient that compels a reader to curl up on her bed hugging a book and smiling to the moon because she loved it that much? I believe the magic is different for each person. For me, it’s based on voice and emotion. Give me a protagonist I can root for and put her in situations that make me cry or laugh, and I’m a happy camper. Pepper in some lyrical writing, and that's a masterpiece. 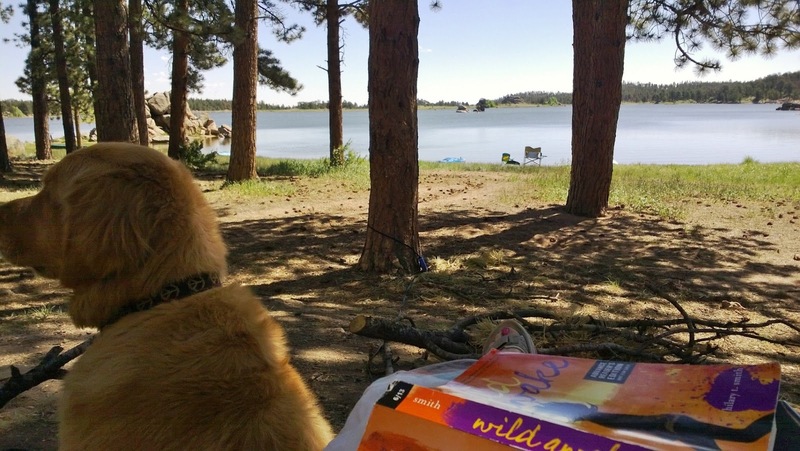 On a camping trip a couple of weeks ago, I read a book just like that. 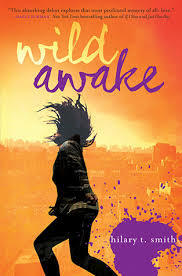 It was the arc of WILD AWAKE by Hilary T. Smith. I cracked the spine without knowing much about the book at all. But it didn’t take long for me to fall in love with Kiri Byrd and her whimsy, and get completely sucked into her summer of freedom, mystery, and self-discovery. Kiri is an endearing, funny, and relatable main character who is determined to uncover the truth about her beloved sister's death. Her adventures consist of meetings with dubious characters in rickety buildings, late-night bicycle rides, an unconventional boy whom she refers to as her "love-bison," and manic piano sessions that left me feeling dizzy. And when Kiri's quest led her into dark, dangerous and unhealthy situations, I felt nervous and worried for her just as if she were a close friend. Has anyone read WILD AWAKE yet? What books have you hugged lately? So glad you enjoyed WILD AWAKE! I haven't read this yet though it's on my list. The last books I hugged were Eleanor and Park and Attachments-Rainbow Rowell's voice is just perfect to me! Now I really want to read my copy of Wild Awake! So many books, so little time. I have to agree with Sarah and Bookworm1858 because I definitely hugged Eleanor and Park, too. Also, I've been hugging Crime and Punishment, weirdly enough. I'm glad you liked it as I've been meaning to read this one for a while now. As for the last book I hugged, I think that would be Clockwork Princess. That one drained me of all emotions but I loved every second of it. I really need to read this book! Sounds brilliant. The last book I hugged was Pantomime. It was just so emotional! Oh my gosh, I was just thinking about book hugging last night! However, I hadn't hugged a book in a really long while--haven't been so moved by a good read to do so. One of the books I'm currently reading is Eleanor and Park, and so far I'm really enjoying it, so I hope I book hug it just as Sarah Wedgbrow, Bookworm1858, and thepagesage had. Otherwise, the last book I hugged was The Goose Girl by Shannon Hale.